This month we have edited the format of The Queer Tango Project's website, highlighting our blog and all the Queer Tango videos which we share. Tango Queer en Español. We have also created a new section in Spanish: Tango Queer en Español - see the menu bar at our website - thus we are turning the website 'bilingual' with parallel, independent activities – that is same functions, but without that content invariably be mirrored by translation into ‘the other language’, which ever that is. Each language has a life of its own on the website. Olaya Aramo (Madrid) will be editing posts in Spanish. She will be happy to have somebody help her as a co-editor or guest writer. If those of us working in one language spot something which ought to be shared with those speaking the other language, we will organise for pieces of news to be translated and published in both languages. Quilombo Queer Tango Festival: un paso más en la consolidación del tango queer en el Estado Español. El pasado mayo se celebró en Barcelona el Quilombo Queer Tango Festival, el primer festival de tango queer en el Estado español... Read more. Tango Con Fusion is offering a class a day in “exchange of lead/follow roles” during the festival. The registration for San Francisco's 4th Annual Lady's Tango Festival 2016 is open now! Read more. 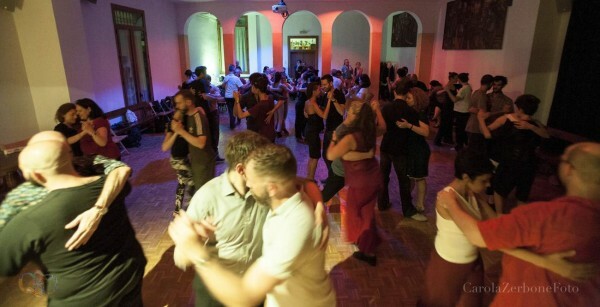 The Queer Tango Salon: Connecting Bodies of Knowledge will be happening in Paris next month and the full schedule for the 16th and 17th September 2016 is now available on their website. Read more. Festival Internacional de Tango Queer 2016 - 10 Years of Queer Tango! Mariana Docampo: It is about Festival Internacional de Tango Queer in Buenos Aires! From November 14 - 20, 2016 we are going to celebrate the first ten years of the festival ... Read more. The Tango Society of Boston and Marc Vanzwoll present the 1st Annual All inclusive Boston International Queer Tango Festival February 9 - 12, 2017. Read more. The 2017 SF Bay Area Queer Tango Festivalito with Soledad from Tango Queer Buenos Aires, early March 2017. Read more. High Heels, Dancing and Politics: Queer Tango takes a view Ray Batchelor (UK), May 2016. Every now and again, one of us posts something on The Queer Tango Conversation which – as we hope it will – prompts others to comment. What follows is an anthology of the responses prompted by a post I made on 5 May 2016. … Read more. 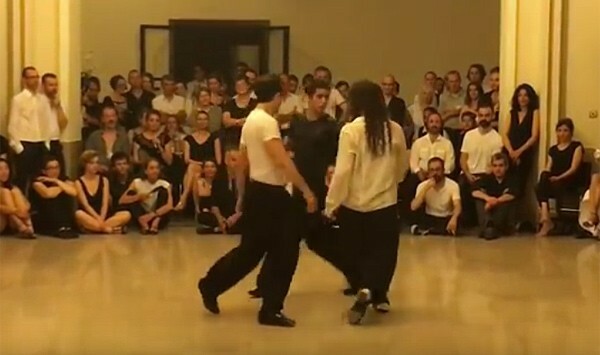 Video (5:45): Tango Queer in Madrid, Spain, is a small community, varied and full of desire to learn. They have been runing safe spaces - milongas and practicas - for LGBTQ people to dance Queer Tango since 2010. This video is from one of their milongas in July 2016. Read more. Video (7:24): Edith & Marcelle, Lettingo Cabaret, La Vie en Rose - Queer Tango Meeting in Paris, June 22 2016. Read more. Video (2:55): the performance by Soledad Nani, Lucrecio Robledo, Matias Tripodi at Salle du Beffroi Friday June 24, 2016. Video by Golden Blaisedale. Read more. 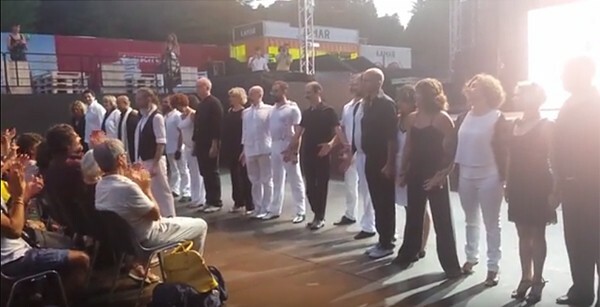 Video (8:55): Tango Queer Roma - Cristiano and his students' performance on July 7, 2016 in the Gay Village of ITALIAN GAYMES 2016 in Rome. Read more. Video (2:45): Liliana Chenlo and Yuko Artak dancing in Buenos Aires, 2016. Read more. PS, if you do not want to subscribe to this newsletter please use the unsubscribe link at the bottom of this email.